*El post en español esta al final! On my last post I promised you a makeup tutorial and here it is! this is the look I always do when I'm in a hurry or I'm not in the mood to try something new. More than a holiday look, this is a goes-with-everything kind of eye makeup. It is very quick and easy to do, and you can't never go wrong with this one. 5. 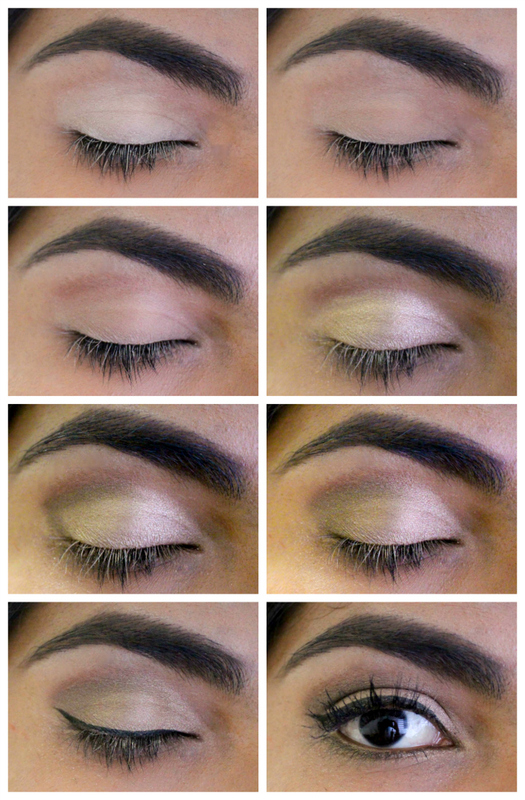 On the outer corner of the eye, apply a dark brown eye shadow ( I used the shade hustle on the UD naked palette). You can add the same eye shadow in the outer lower lash line to make the eyes look bigger. 6. No te olvides de difuminar el color cafe en el parpado móvil. 7. Por ultimo, completa el look aplicando delineador y mascara de pestañas (yo use Kat von D ink liner & Benefit they're real).